The Office 365 ProPlus deployment team has been working hard to give IT pros the tools they need to successfully deploy Office 365 ProPlus in various scenarios. We recently released a new guide focused on making your organization’s ProPlus deployment a success. 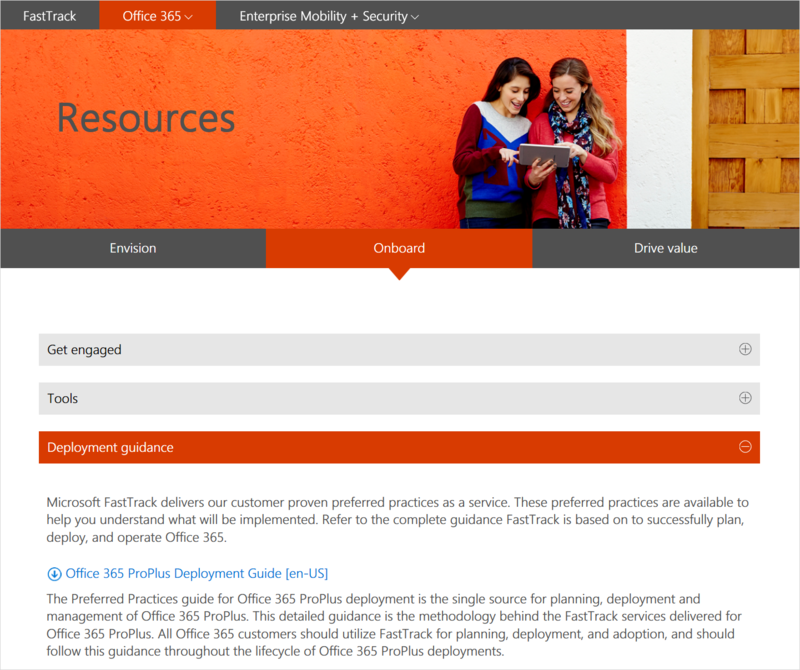 The Preferred Practices guide walks you through the phases of deployment. Assess—Deploying Office 365 ProPlus requires planning—just like any other large-scale Office client deployment. Learn about key infrastructure components and app compatibility discovery processes, as well as tools to help you understand the scope and remediation needs of Office 365 ProPlus. Plan—Planning is a key component of your migration to Office 365 ProPlus. Consider several items when creating your deployment plan to understand constraints and meet the goals of the project. Deploy—Learn more about the three deployment options—Enterprise Managed, Locally Managed and Cloud Managed—available for delivering Office 365 ProPlus to your users’ devices. 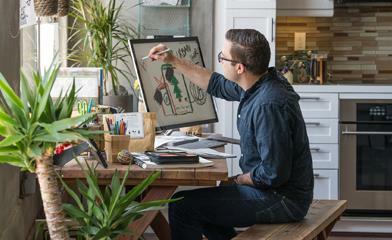 Manage—We’re continuously improving Office 365 ProPlus. We’ll walk you through how to handle managed and unmanaged deployment scenarios, patching and channel updates and ongoing management and maintenance. We’ll continue to update this guide as new features and deployment capabilities are released by Microsoft. And we’ll also collect feedback from customers, partners and Microsoft deployment experts to continually refine these practices, so please reach out to us with any thoughts. Get the guidance you need from a single comprehensive source. Download your copy of the guide today.